Don't miss this gorgeous Sun Ketch Townhome that features 4 bedrooms, 3.5 baths, 2 car garage in a convenient location just minutes to local restaurants, shopping, 10 minutes to downtown St Pete and 20 min to Tampa International Airport. Enjoy sitting outdoors on your paved front porch or step inside the leaded glass entry door to the large living space with volume ceilings, crown molding, and hardwood floors throughout the main level. Gorgeous kitchen features dark wood cabinets, granite counters, bar seating and stainless steel appliances. Second floor includes the master suite with 2 additional guest bedrooms, guest bath and convenient laundry room. Step out the French doors from the dining room to your private patio where you can enjoy entertaining or relaxing. From your patio, enter your garage or a separate entrance to 2nd floor guest quarters/office space/studio with full bath. 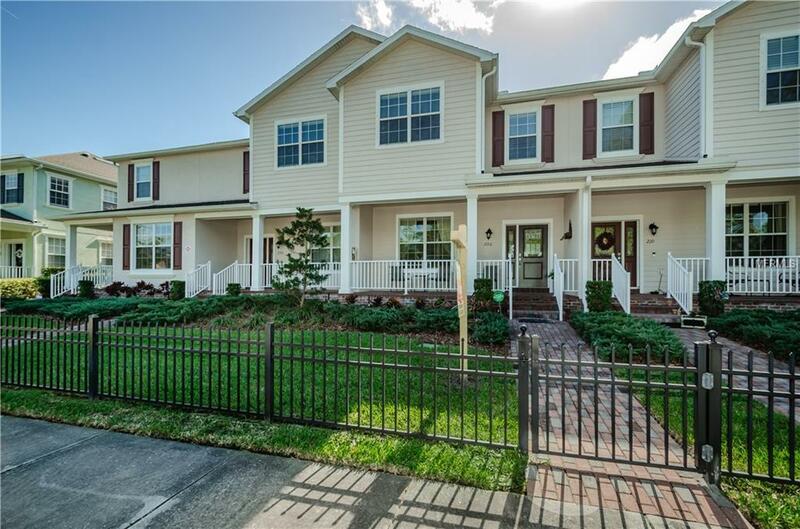 This maintenance free community offers low HOA fees. Additional Lease Restrictions Please Check With Hoa For Restrictions On Leasing.